Our winter indoor .22 league is coming to a close. Two years ago the league agreed to allow two handed shooting for shooters with a physical issues that limits their ability to participate. 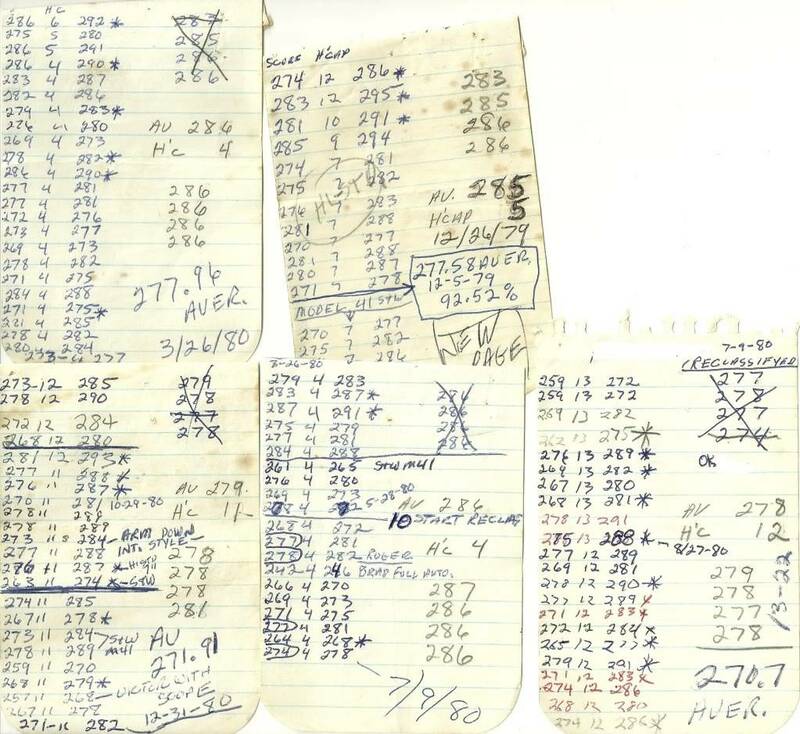 Our league has been in existence since the sixties, and our older shooters could no longer compete, but loved the league, and still wanted to shoot. We have always followed the NRA rules, but made an exemption to our by-laws, as we were losing members, and did not want to see our older people leave. However once we allowed two handed shooting, we gained shooters who did not necessarily have physical issues, but wanted to shoot two handed. This is causing problems with our traditional bullseye shooters to the extent they are leaving to shoot in other leagues. Is anyone else experiencing this issue, and how did you handle it? We encourage people to try Bullseye, and emphasize that it's all about attempting to shoot a pistol with some degree of precision. Period. We tell them up front: Try it with one hand. If you're getting frustrated, use two hands. Still frustrated? Sit down, get a sandbag, and use the bench as a rest. Whatever it takes to keep 'em on target. 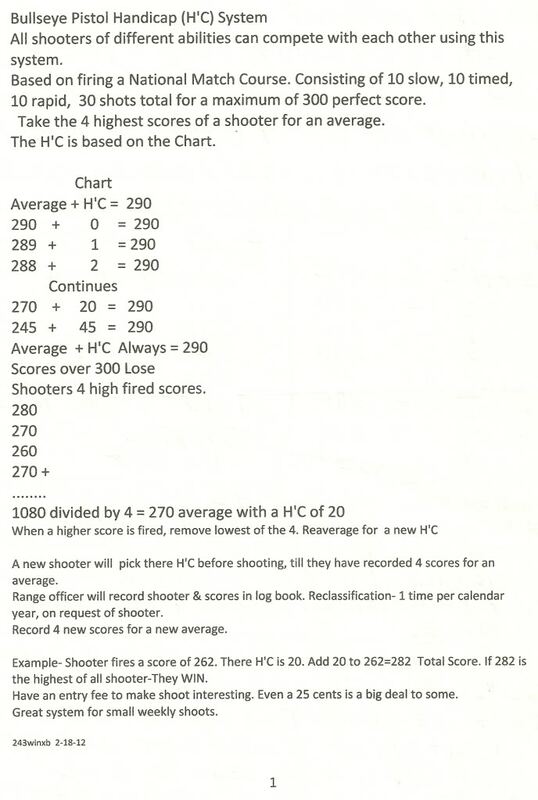 Don't follow the NRA rules, you don't get classified and your scores aren't posted on the match results but you can still enjoy the day and learn. We shoot the Police L target, one or two hand hold. Anything in the black is a 10. The X rings is very large. Great for beginners and older shooters. You could separate the two but our one handed shooters most times best the two handed shooters. We have had one young man recruited to shoot two handed, and this season began shooting one handed. his average went up, and he is now shooting expert class scores. I feel exceptions need to be made for the older, disabled or weaker shooters, but they should not compete head to head with tradition bullseye shooters. 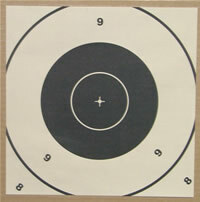 Our Bullseye League shoots two matches per week, one for iron sights and another for red dots. Since 2013 shooters are free to use one or two hands. No one uses one hand for iron sights any more, and only two shooters still use one hand with the red dots. Virtually all shooters scores went up when they started shooting two handed and two handed shooters dominate the highest scores by a wide margin. 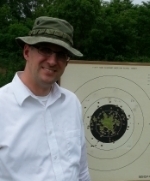 Besides Bulllseye, many of our shooters shoot IDPA, USPSA, and Steel Challenge. Clubs have to do whatever it takes to get new shooters I will turn 60 this year and I'm one of the youngest in our league. twidle wrote: Clubs have to do whatever it takes to get new shooters I will turn 60 this year and I'm one of the youngest in our league. I shot with a senior group for a few yrs. 2 handed shooting, a couple fellows sat on chairs resting the pistol, several shot 25 yds and we kept our own scores. Got to meet some very good people. Good comaraderie, intelligent conversation. One of the pluses for the sport right now is the red dot as it allows the older shooters to hang in there.